Facebook acquires WhatsApp for $16 billion in cash and shares. LinkedIn allows all members to publish. These stories, and more, in today's Morning Social Media Newsfeed. After its unsuccessful bid for photo-messaging application Snapchat last November, reportedly valued at more than $3 billion, Facebook opened up the vaults and announced its acquisition of cross-platform mobile messaging company WhatsApp for $4 billion in cash and some $12 billion in Facebook shares, also announcing that WhatsApp co-founder and CEO Jan Koum will join Facebook’s board of directors. 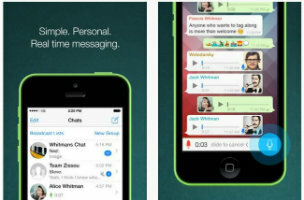 Facebook said in its announcement of the deal that it would proceed in much the same way it did when it officially acquired Instagram in September 2012: The WhatsApp brand will be maintained, as will the company’s headquarters in Mountain View, Calif., and the WhatsApp apps will remain standalone and not be combined with Facebook Messenger. Inside Facebook This is a very powerful way for Facebook to connect with users from all over the world. As Facebook points out, WhatsApp has roughly 450 million monthly active users all over the world — 70 percent of whom are active on a given day. Roughly 1 million new users are added each day. The New York Times/Dealbook The eye-popping price is Facebook’s largest acquisition by far and represents a new height in the frenzy to acquire popular technology startups. By any measure, Facebook is paying a steep price for a mobile application that is widely used internationally but less known in the United States. The Wall Street Journal What isn’t clear is how much revenue WhatsApp makes —the company declined to comment on its sales. It charges 99 cents a year after a one year of free use, and doesn’t carry ads. USA Today Zuckerberg paid so much for WhatsApp because the five-year-old startup is at the forefront of a new breed of mobile messaging apps that are becoming the main way smartphone users communicate with each other, especially in fast-growing developing markets like Africa, India and Southeast Asia. Social networks like Facebook are currently the dominant way to keep in touch online, but that could change, and Zuckerberg does not want to be left behind. LinkedIn is continuing its march from a job and professional reputation site to an all-purpose business news site, with news on Wednesday that it is now opening up its publishing platform to all members. The move means that the site can now become more of a sounding board — and a promotional arena — beyond those selected “influencers” who have been given blog posting privileges, including former President Bill Clinton, Microsoft co-founder Bill Gates, publisher Arianna Huffington, author and TV commentator Suze Orman and British Prime Minister David Cameron. Delivering Tuesday’s Social Media Week NYC keynote was Jonah Peretti of BuzzFeed who talked to Social Media Week CEO Toby Daniels. Peretti had some insights for people who are looking to crack the viral code, BuzzFeed style. There might not be an emoticon for hunger, but thanks to Birds Eye Foods’ new Mashtags potato snacks, kids and adults can eat social-media symbols like hashtags, smiley faces, @ signs, asterisks and hearts. Noshing on letters and numbers is nothing new. In an effort to raise awareness about heart disease, Canadian-based Sunnybrook Hospital will be live-tweeting heart surgery today at 8 a.m. Eastern. If you’re interested in watching the surgery, tune in using the hashtag #SBheart and follow the Sunnybrook Twitter account (Sunnybrook).